​Risks are the landmines, roadblocks and hurdles that can kill your real estate investment deal if overlooked. Return on Investment is the name of the game. Know the cost and quickly find out your deal is really a deal. 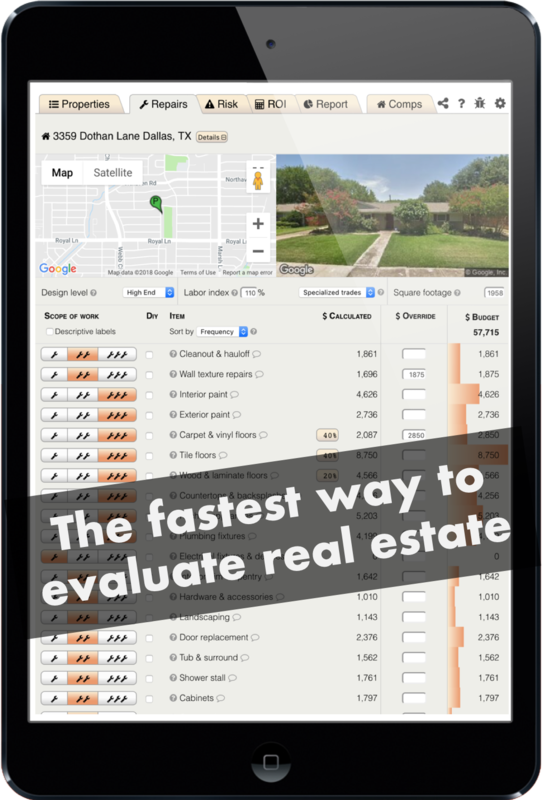 Househacker helps real estate professionals make fast investment decisions and beat the competition to the punch! A web-based software to help real estate professionals evaluate fixer-upper houses to acquire, renovate and resell or rent. Real estate professionals of all skill levels who need to quickly and easily evaluate distressed single family real estate. Comprehensive due diligence system for evaluating distressed houses. Repair estimates in 30 minutes or less! And you don't have to be a professional to do it. We make the process of assessing the condition of a property fast and easy. Unlike other estimating programs that require expert construction knowledge and hours of time to complete, our survey-style touch friendly interface is easy for anyone to use and virtually eliminates time consuming data entry. Don't make a rookie mistake and blow up your deal! It only takes a few minutes to go through our simple checklist of potential deal killers. 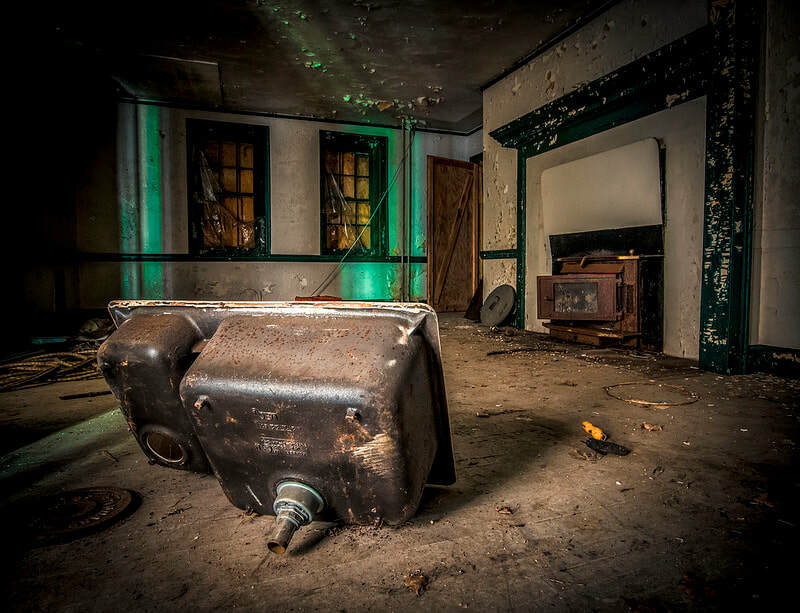 We have compiled the same list of the potential risks that the big banks and asset managers use to evaluate their foreclosed REO properties. Buyer beware... know what you are buying and know the potential risks. You make money when you buy right? So it is important to run the numbers the right way to make ensure that you are counting all the costs and making a wise investment decision. Our RIO Calculator will to help you confidently can make instant offers to sellers with just a few clicks. Once you have entered all the key information on using Househacker's quick and simple data collection system, all of your property information is displayed in a professional and elegant report that can be shared with lenders or business partners to show that you have done a thorough job of doing your due diligence. 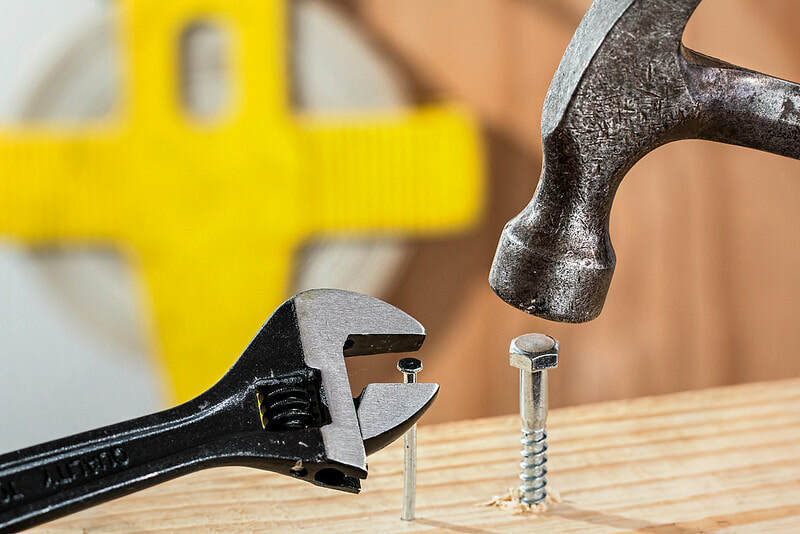 Get a free copy of the Househacker Repair Cost Guide and find out some common costs for materials and labor rates for your next rehab project. 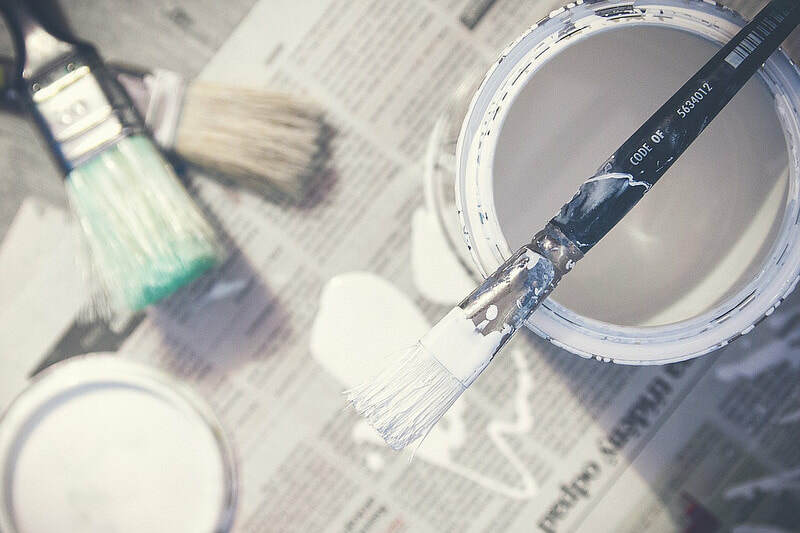 This guide contains beautiful photos and concise breakdowns of typical home improvement items. Get your copy today!